Playing around with more jewelry pieces today. This is air-dried clay with a hand-painted design in acrylic. 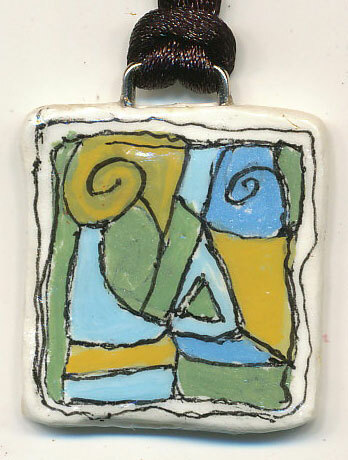 This little 1″ square shape was made into a pendant with a soft cloth cord. This entry was posted in Uncategorized and tagged abstract design, Artpony, jewelry, Louisiana artist, pendant. Bookmark the permalink.